Fina have been putting out some seriously powerful material of late, with releases by the likes of Borrowed Identity and Appian defining its distinct techno sensibility and rougher edge compared to its mother label. 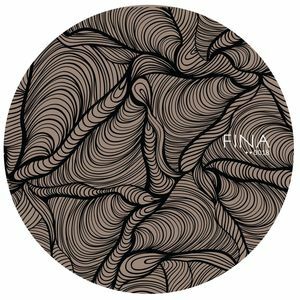 A newcomer, Slow Learner, takes the helm for the imprint's eighteenth outing and the shadowy producer comes through with three smooth house cuts on the melodic side. "Honey" is all starry synths and deep pads, "Cupboard Love" takes an itchy percussion roll and drops it above cinematic soundscapes, whereas "The Skin Horse" is the elephant in the room, the weirder brother of the lot and the one whose keys are likely to set your jaw in a twist.